Last week, we moved across town to a house on the edge of a wood. 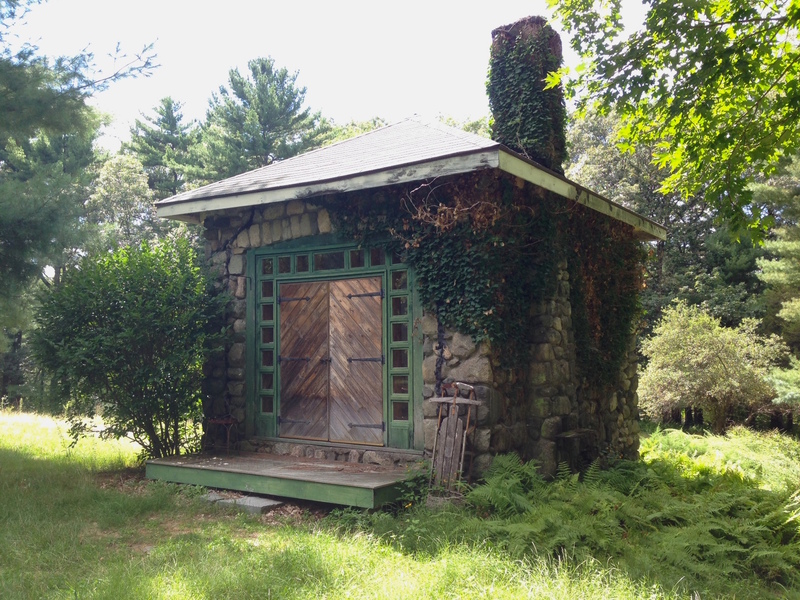 This week, we found this abandoned gem in the forest not 300 yards from our back door. Inside is a rotting old couch, a 1950s wooden high chair, modern plastic Disney toys, and a 12-candle platter like an altar in the middle. Several pages of scribbles from a little girl named Helen, who wrote the word MUSIC several times in large childish lettering. Underneath is a deep, cold root cellar. I don’t know whether to claim squatter’s rights and start writing there, or keep a respectfully wide margin spooked by the backstory I’m certain it has. This entry was posted in On Writing, Wild Kingdom and tagged abandoned cottage, abandoned house. Bookmark the permalink. Oh my goodness… this is SO incredibly cool. And naturally – like you – I was thinking what delightful/spooky fodder this would make for a book. Did you find out if you can claim squatter’s rights? Could be an ideal writing space with your imagination inspired by the backstory you’re plotting in your mind!